This simple way to spruce up a pumpkin is a great way to decorate if you aren't into spiders, skeletons, and witches. It can be hard to decorate for Halloween if you don't like the creepy decorations! 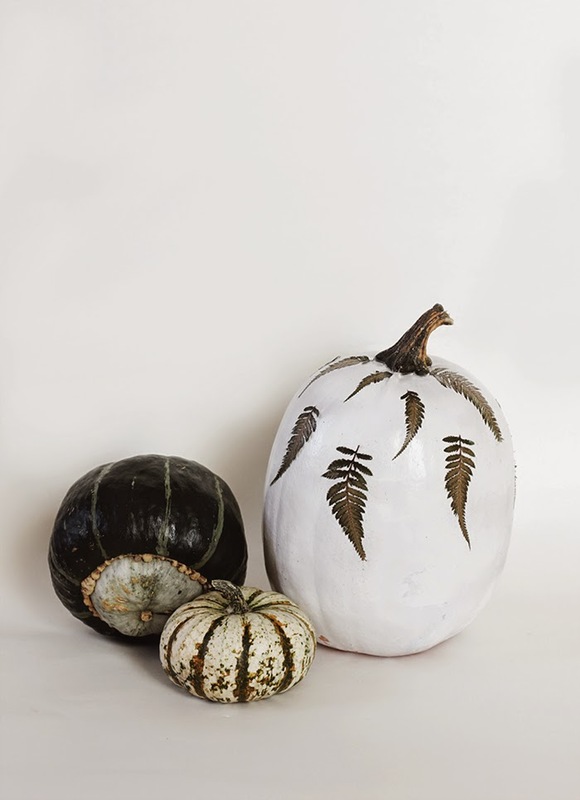 But if you just want some sweet decor for this fall season - these decoupage pumpkins are the perfect thing! Plus these can easily stay around and fit in for Thanksgiving! 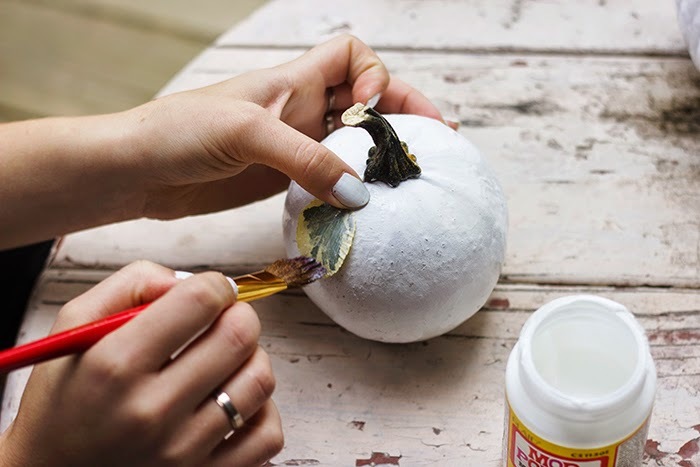 -Use masking tape to cover the pumpkin stem. Press it tightly around the base to seal it well. 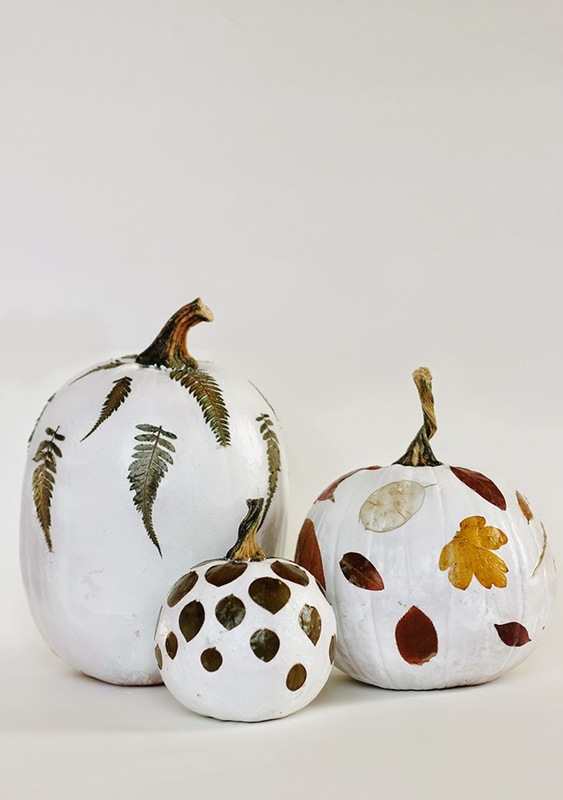 -Spray paint your pumpkin and let dry. 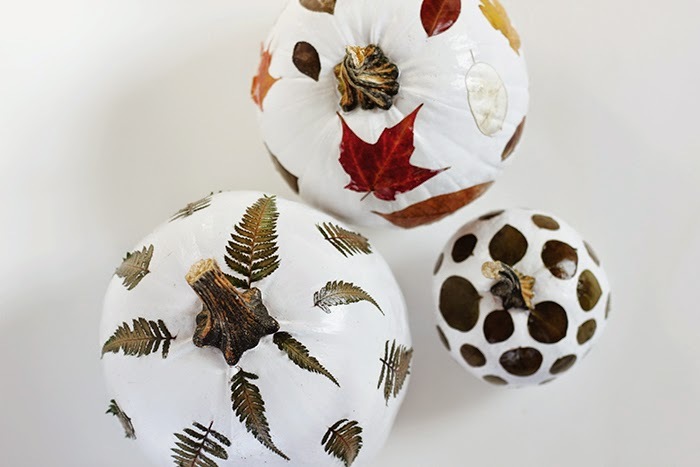 -Use Mod Podge on the back of your leaves and press onto pumpkin. Let it dry slightly and then press down again gently along the sides. 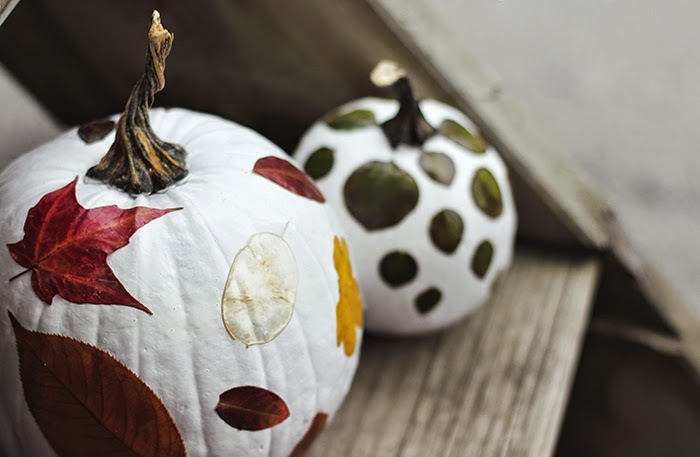 -Brush Mod Podge carefully over each leaf to seal in place. Repeat for two or three coats, allowing it to dry in between coats. but aren't the pumpkins cool enough as is..what with the lovely colors and their inherit design? what should be left alone. 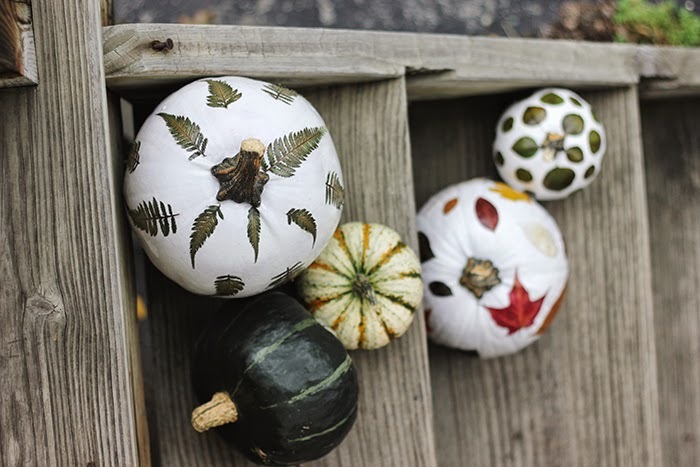 Love what you did with the pumpkins! 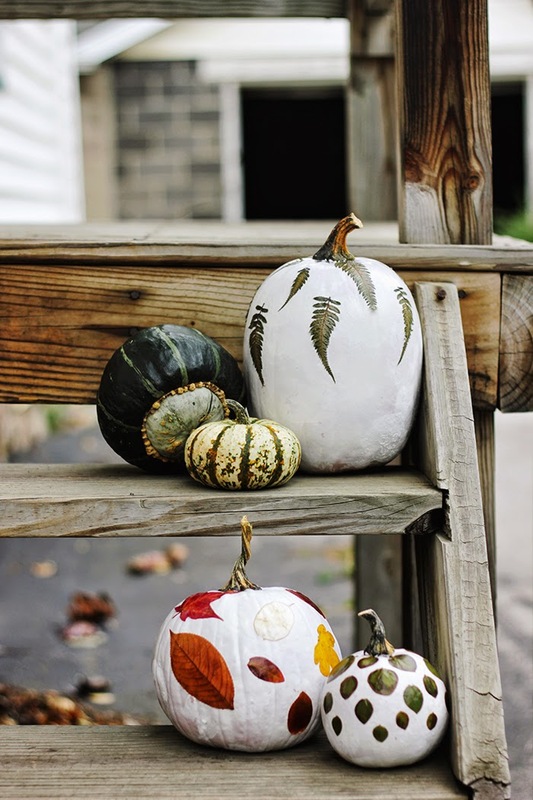 I'm with you on the 'not loving spooky decorations', and these are gorgeous! I love the one with fern looking leaves the most. Gorgeous! These are so cute and creative. Loving this!